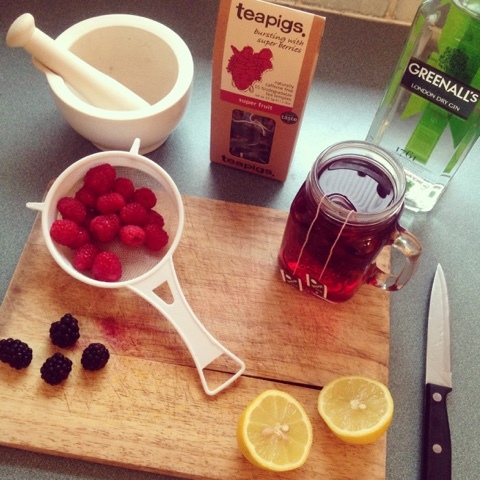 After the success of my last teapigs and gin post, my mind was ticking as to what other delicious recipes I could try. Say a great big HIYA to my teapigs bramble. Brew 2 super fruits teabags, leave to cool and pop in the fridge. Once brewed and chilled, take the teabags out. 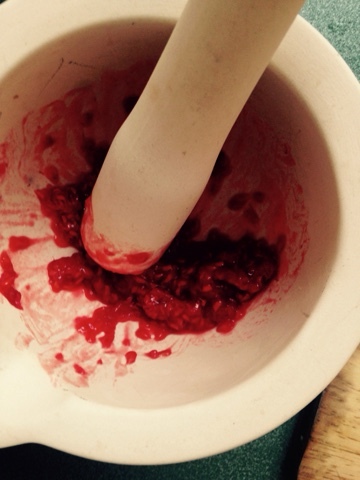 Mash up a handful of raspberries. I don't have a cocktail shaker so used a big Kilner jar. 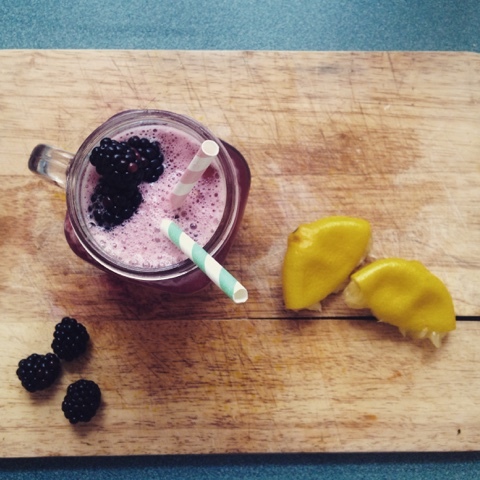 Put your tea, squeezed lemon juice, raspberries, spoonful of xylitol and gin in. Put Beyonce on, dance around the kitchen and shake up all your ingredients. After a full routine of single ladies, your cocktail should be ready to pour. 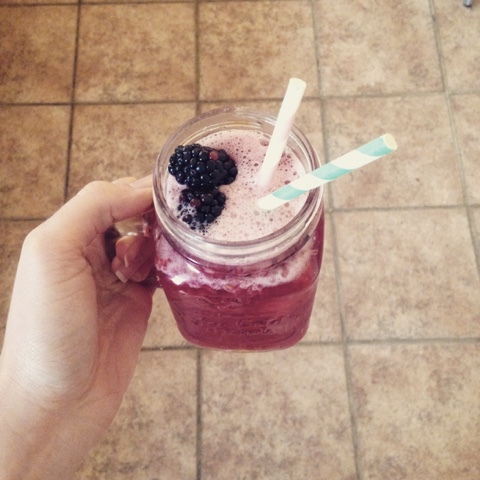 Fill your cup with lots of ice, pour the goodness in and finish with blackberries and some cute straws. 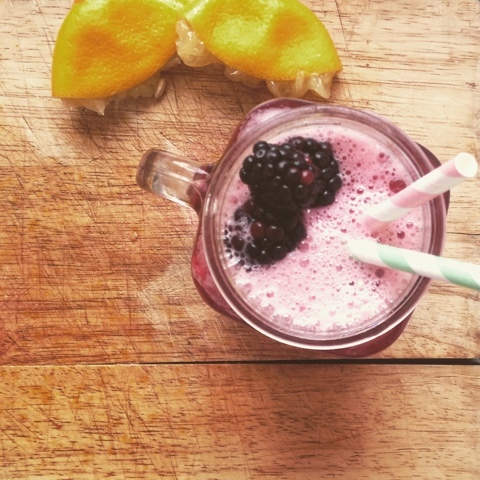 After all that shaking you deserve a drink.